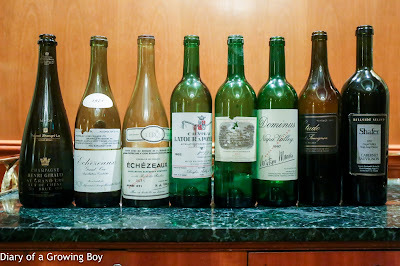 MNSC dinner at Petrus. My turn to host. 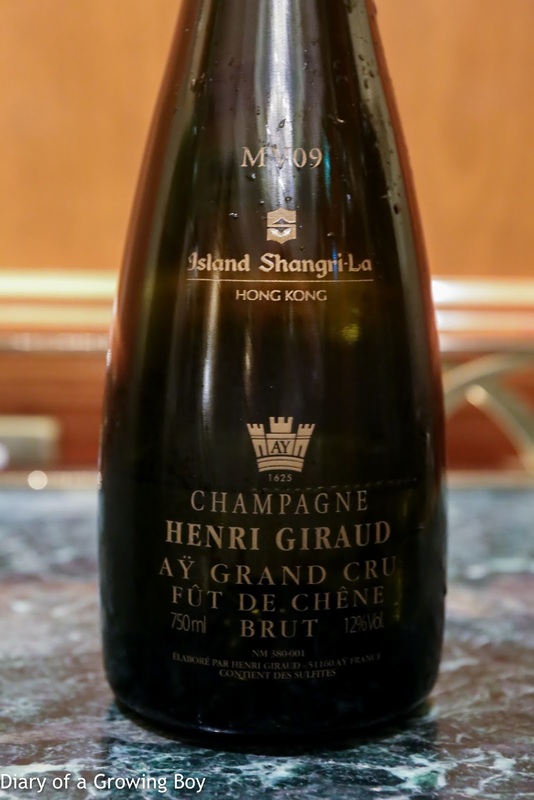 Henri Giraud Fût de Chêne MV09 - savory minerals on the nose, really big on the palate. 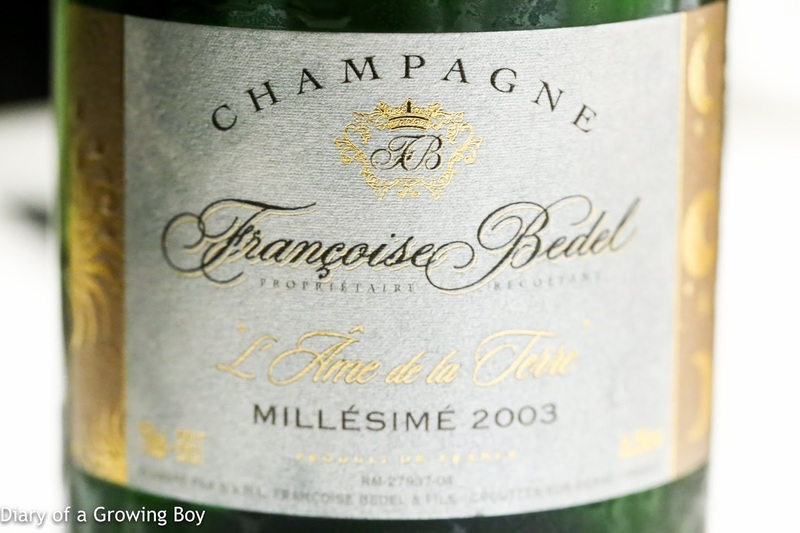 Good balance between savory and acidic notes, and surprising in its maturity. Almost a little bitter on the finish. 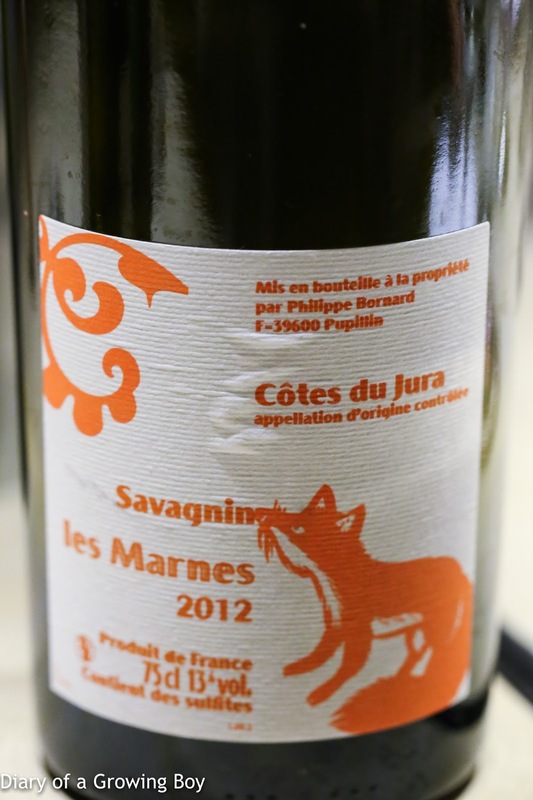 Definitely preserved citrus like marmalade on the palate, with a very fragrant nose. 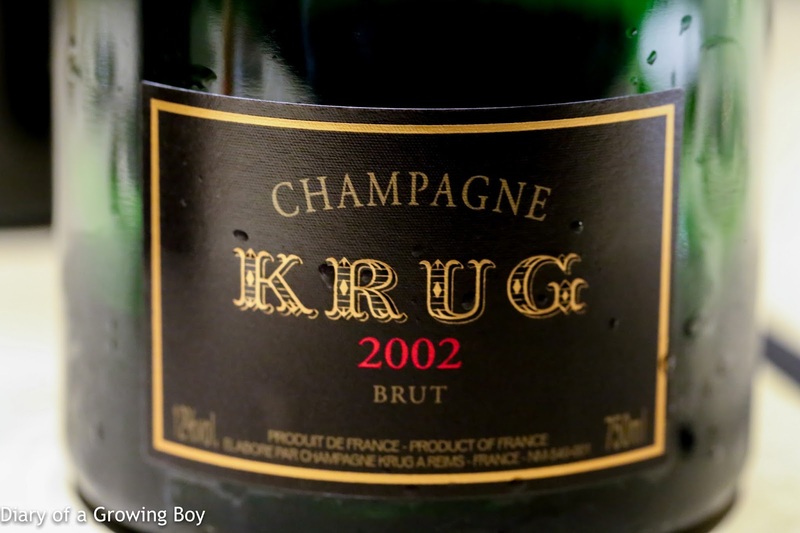 Flight one: opened just before serving, without decanting. Unfortunately served too warm by the sommelier. 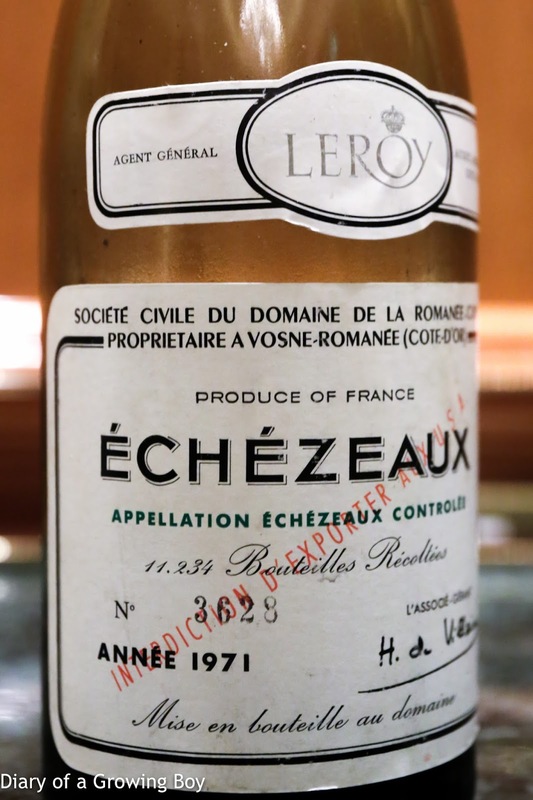 1971 Maison Leroy Echezeaux - nice sweet fruit, savory on the palate. Toasty with a little green and a bit of coffee. 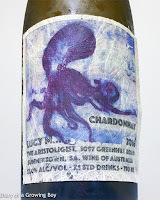 Definitely acidity on the palate here. 91 points. 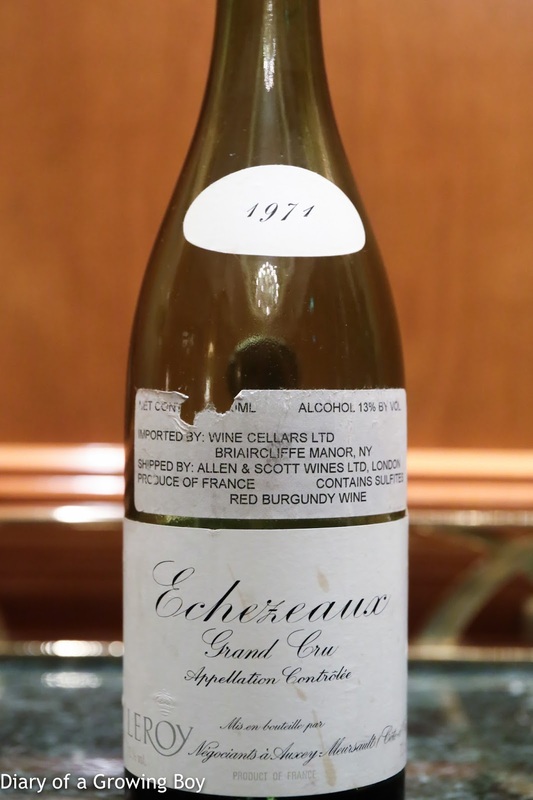 1971 DRC Echezeaux - Madeira-like, very savory, nutty, with some desiccated coconut. 87 points. 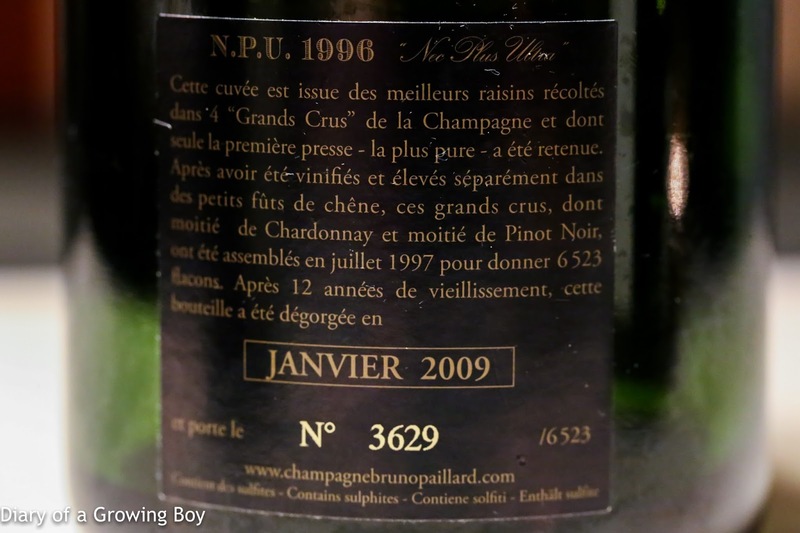 Flight two: opened two hours prior to serving, not decanted. 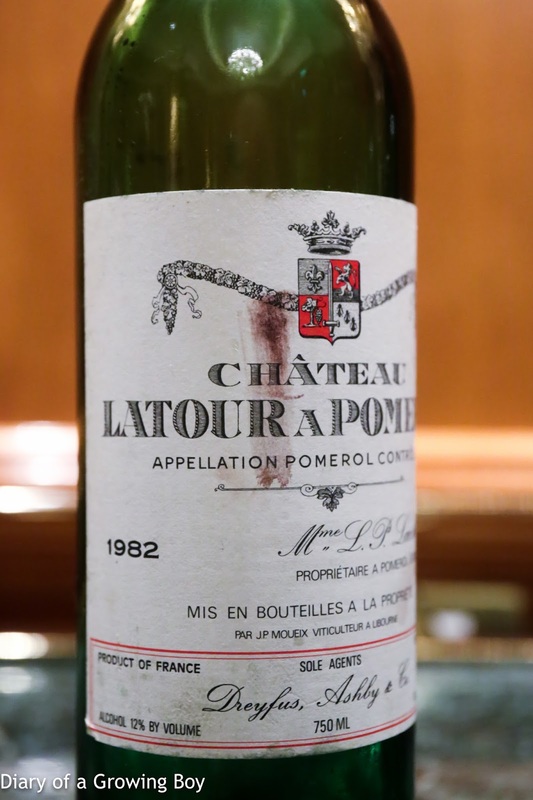 1982 Latour à Pomerol - very smoky, tobacco, a little savory, a little stinky, a hint of green peppers, less sweet fruit than expected. More cigar, smoky, and toasty. 97 points. 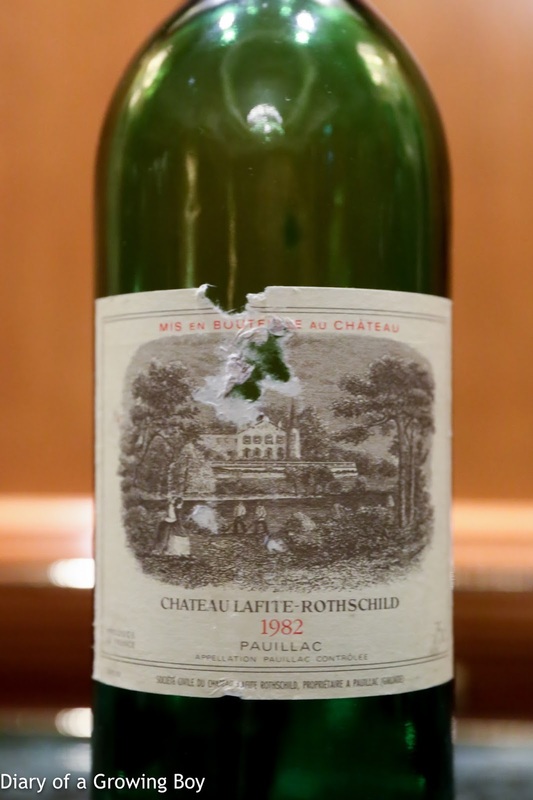 1982 Lafite-Rothschild - a little dusty, really metallic, rusty. 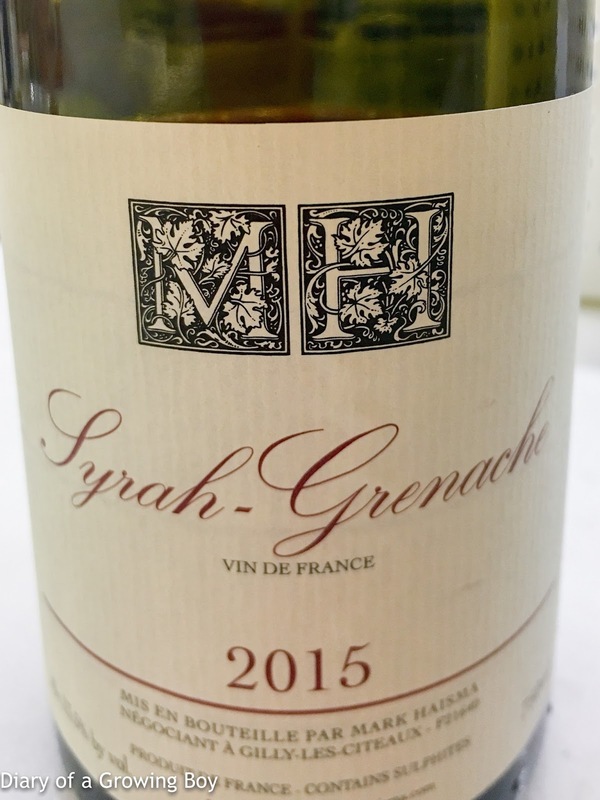 Fine on the palate, savory later on after opening up a little, but still a little tight. 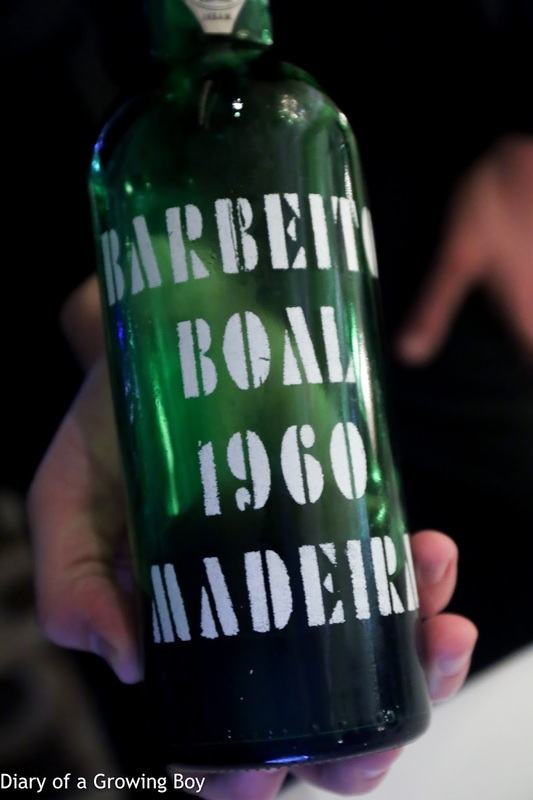 The sommelier should have decanted this bottle. 93 points. Flight three: double-decanted 3 hours prior to serving. 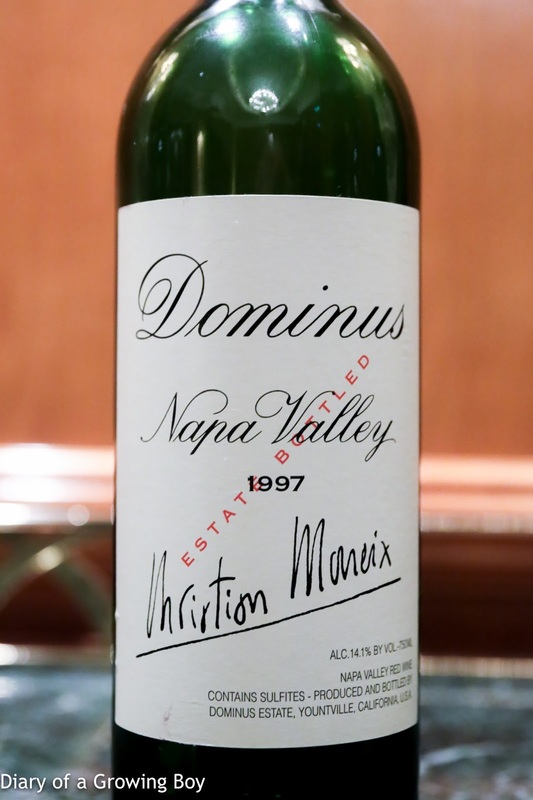 1997 Dominus - Sweet fruit, minty, a little smoky. 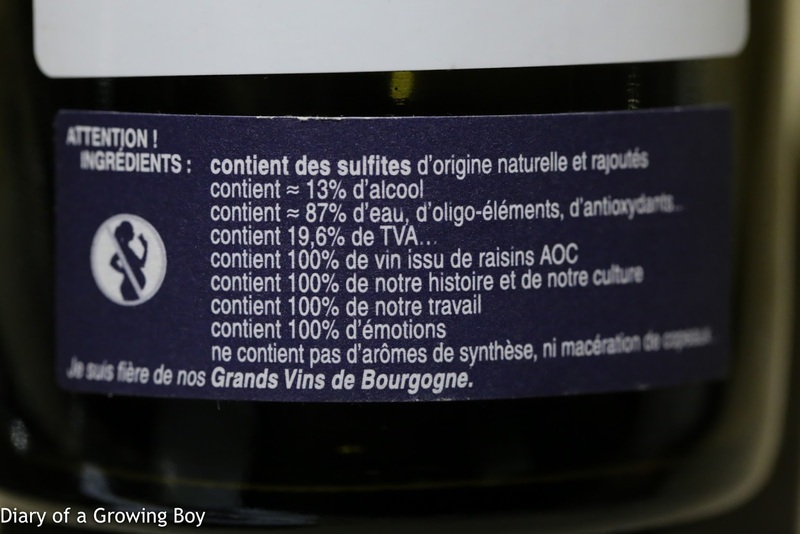 Tannins still there but sweet on the palate. 95 points. 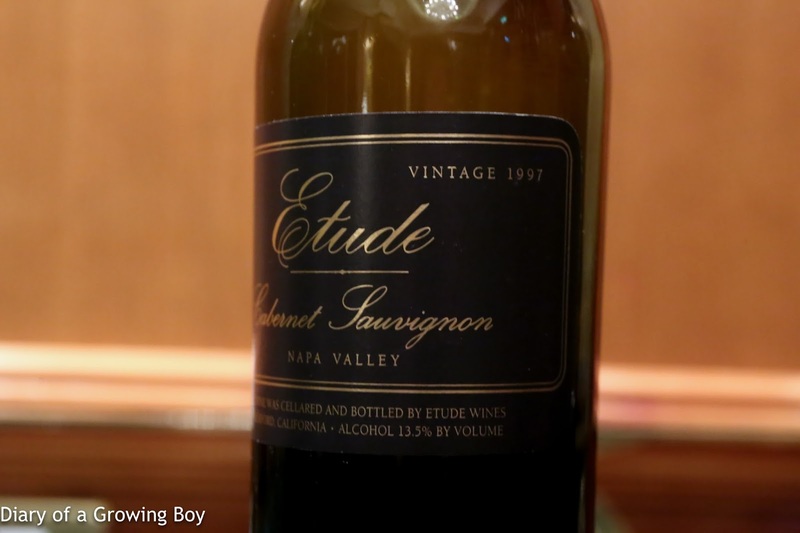 1997 Etude Cabernet Sauvignon - very sweet and ripe, caramelized, almost honey. Slightly alcoholic. 95 points. 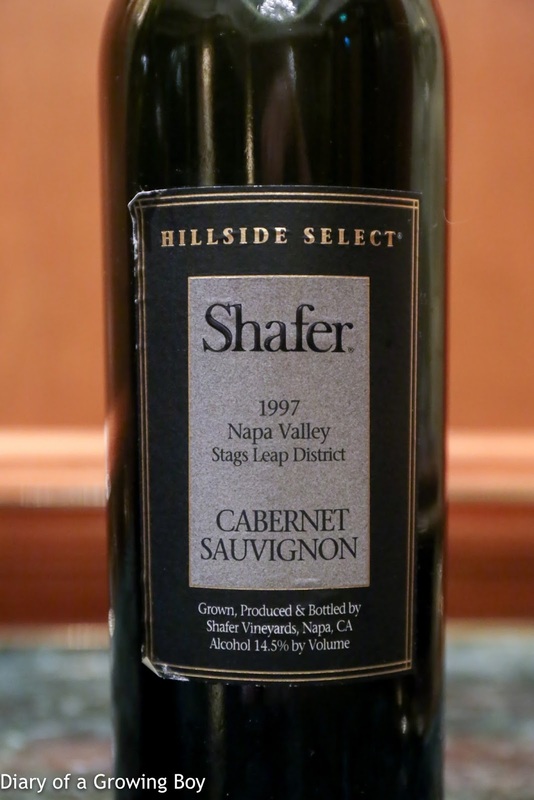 1997 Shafer Cabernet Sauvignon Hillside Select - corked. Dinner at Brasserie Bonne Récolte in Taipei. 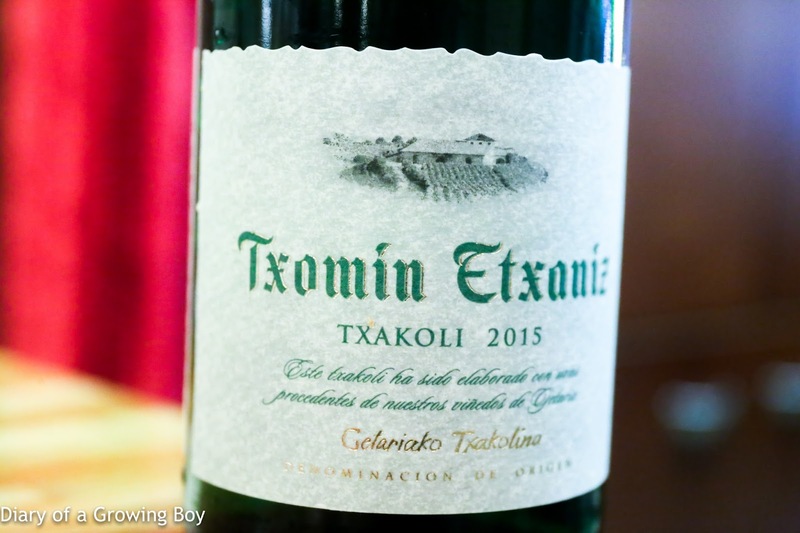 2015 Txomin Etxaniz Getariako Txakolina Txakoli - high acidity with a flinty, almost mineral nose. 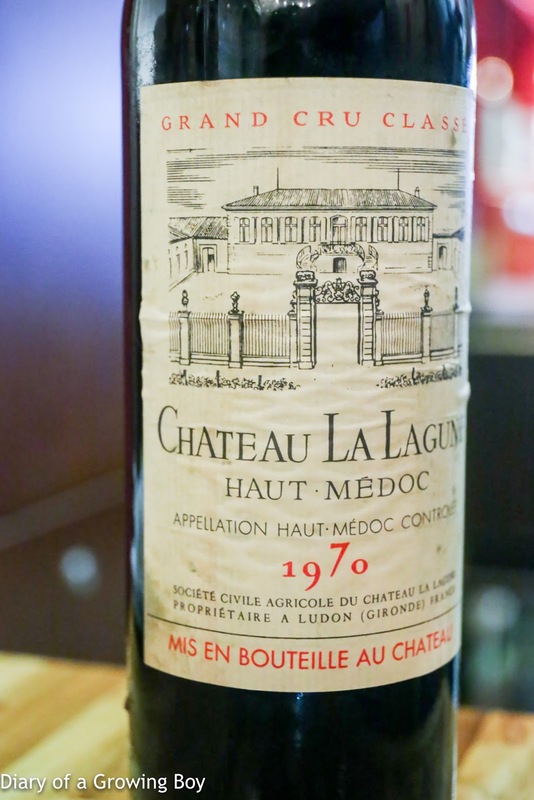 1970 La Lagune, ex-château - 1 hour in bottle, not decanted. 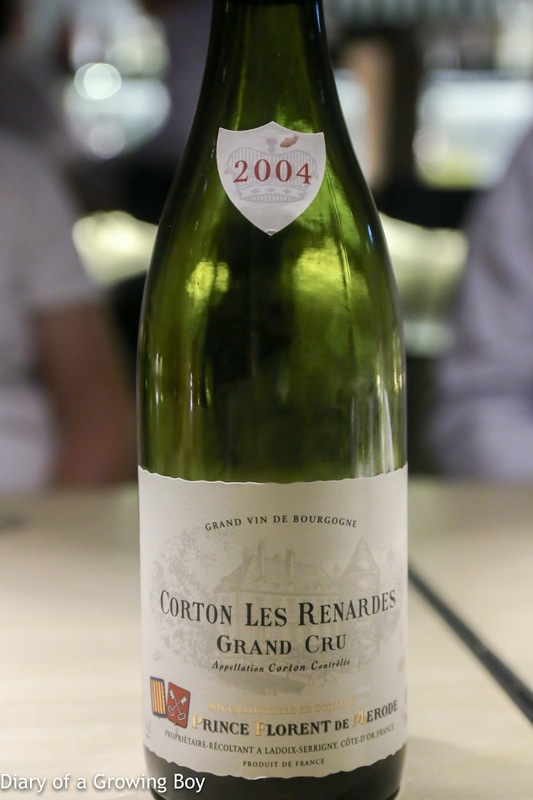 Very smooth, some fruit, a little earthiness, smoked meats. 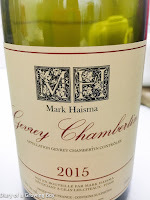 Tasting of Mark Haisma's wines at Ginsberg + Chan. 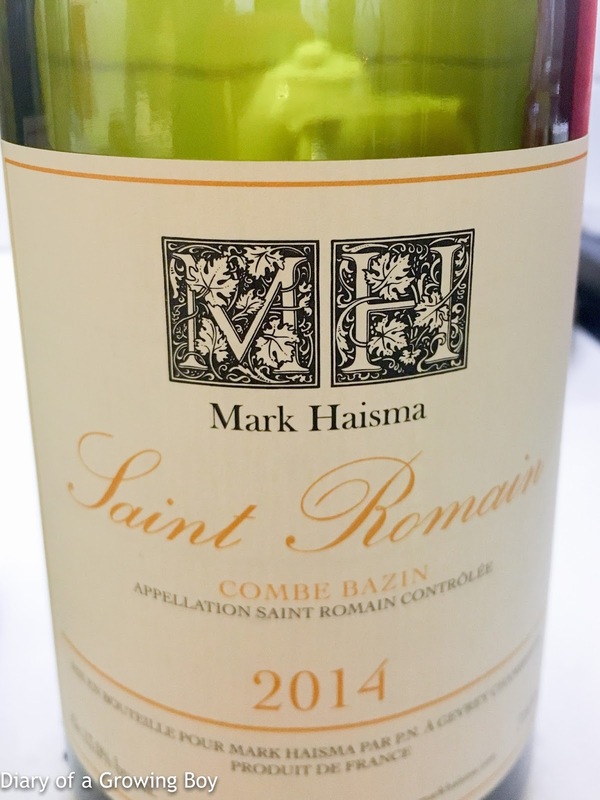 2014 Mark Haisma Saint Romain Combe Bazin - toasty nose with pain grillé, buttery, quite fragrant. 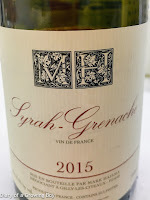 Some nice acidity on the finish. A little flinty but somehow not lean and quite fat instead, with some apricot. 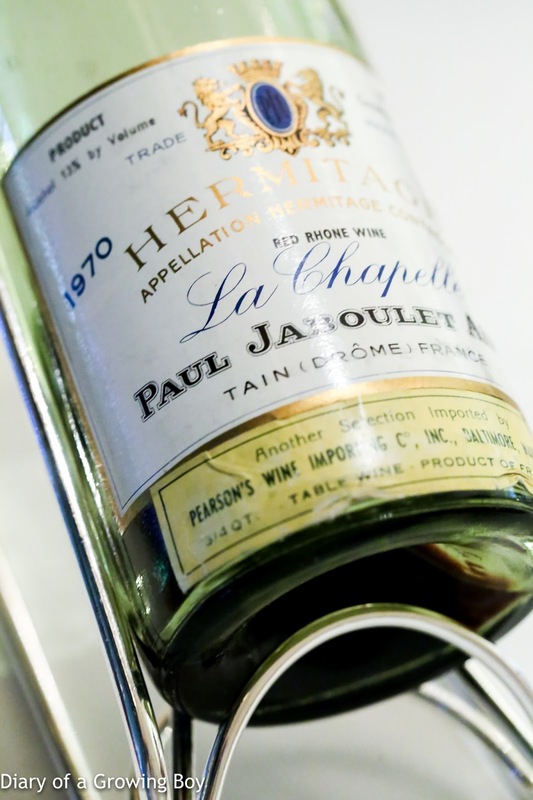 A little light on the palate. 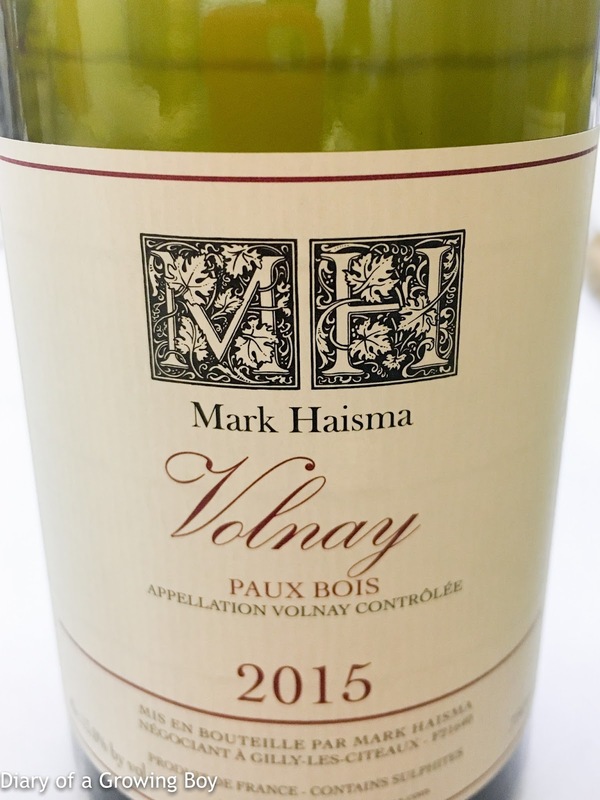 2015 Mark Haisma Volnay Peux Bois - sweet, almost a little jammy. Slightly leather and a little forest. 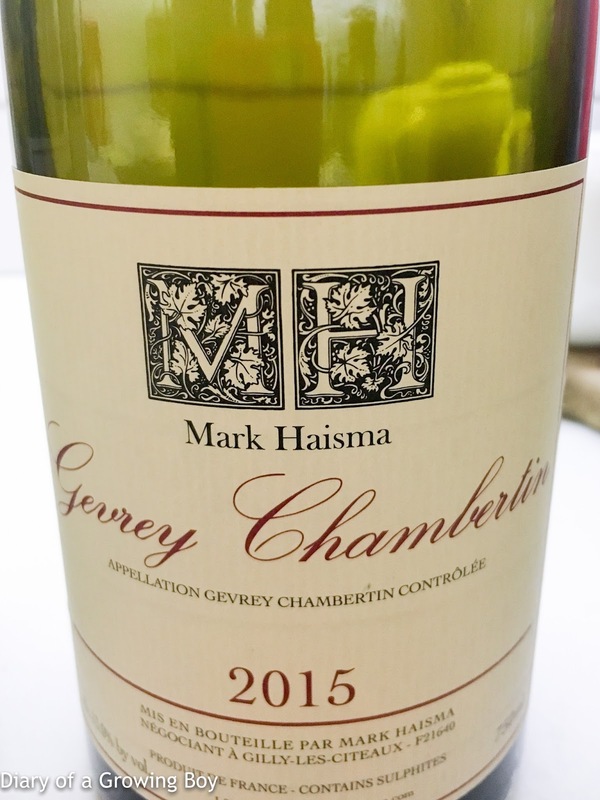 2015 Mark Haisma Gevrey-Chambertin - more fragrant, more eucalyptus. Bigger and more intense. 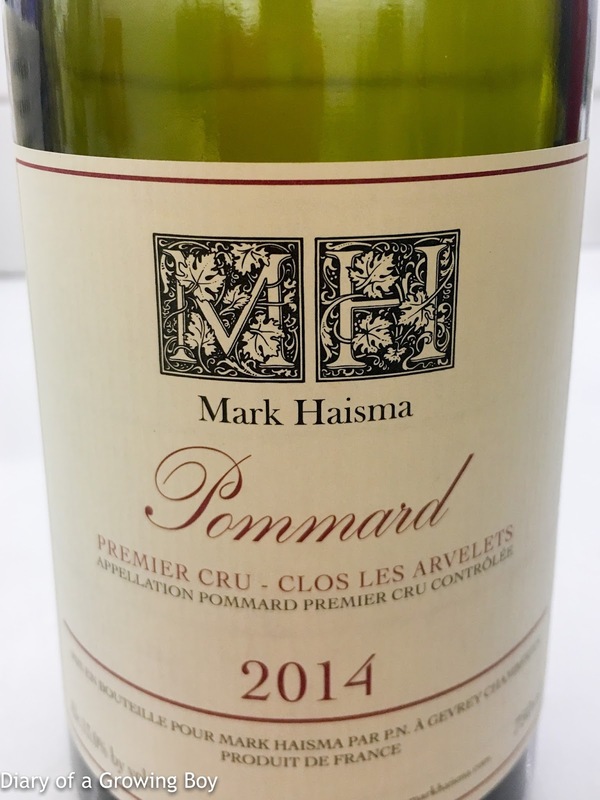 2014 Mark Haisma Pommard 1er Cru Clos des Arvelets - fragrant, nice and sweet, a little leather, some forest, showing better on the nose. 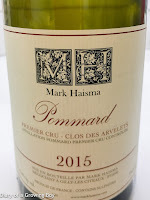 2015 Pommard 1er Cru Clos des Arvelets - good sweetness, more closed than the 2014. A bit more savory, perhaps. Possibly bigger. 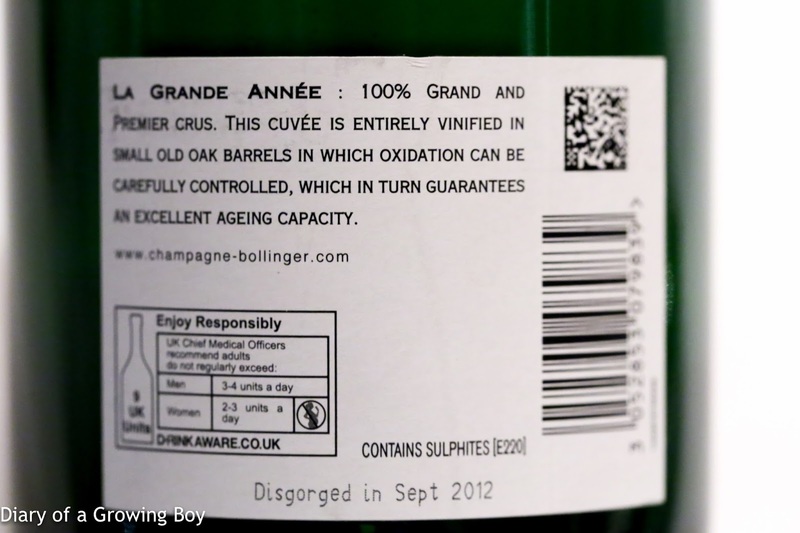 More toast from new oak. 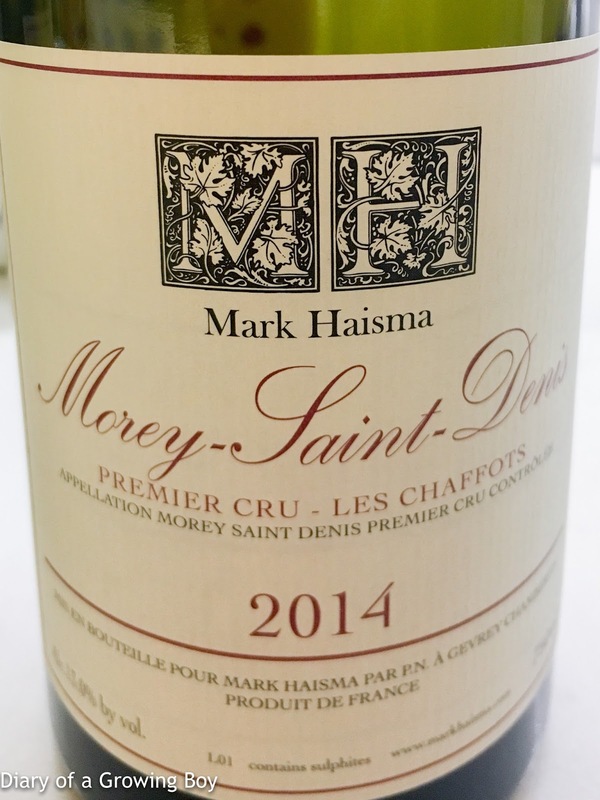 2014 Morey Saint Denis 1er Cru les Chaffots - beautiful nose. 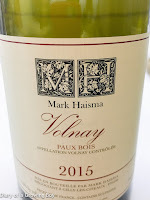 Very fragrant with sweet fruit, and a little spice. 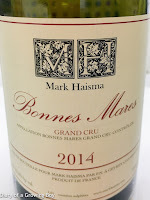 2014 Mark Haisma Bonnes Mares - more complex, a little leaner but still nice and fragrant, a hint of pencil lead. 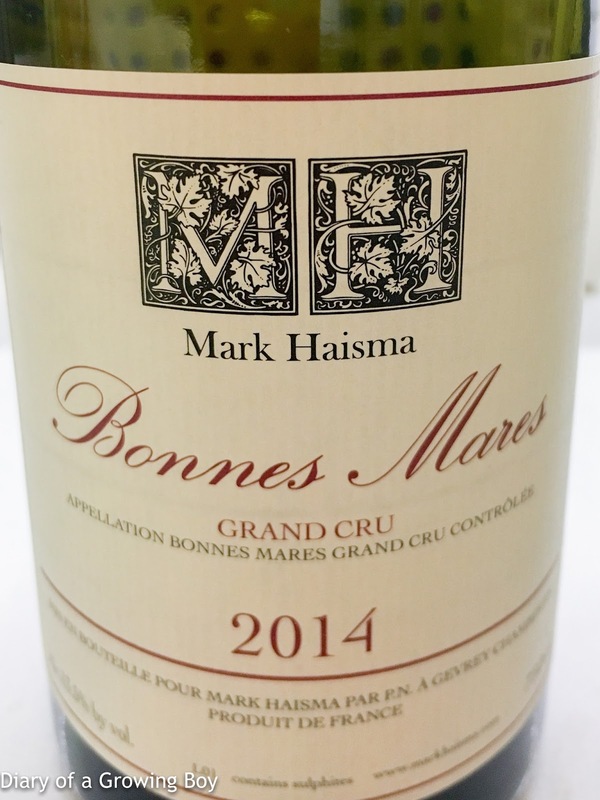 2015 Mark Haisma Syrah - Grenache - made with grapes from 35-year-old vines in the Ardeche. A little savory, a little soapy and floral. Lunch at Beef and Liberty. 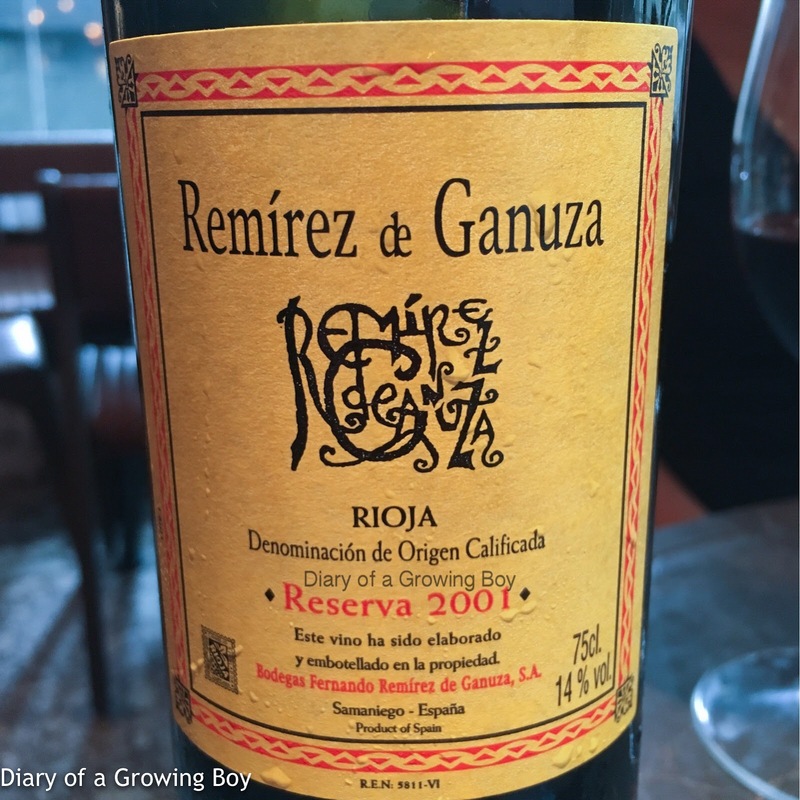 2001 Remirez de Ganuza Reserva - a little smoky, a hint of sweet vanilla, full-bodied but smooth on palate at first, then became more tannic. 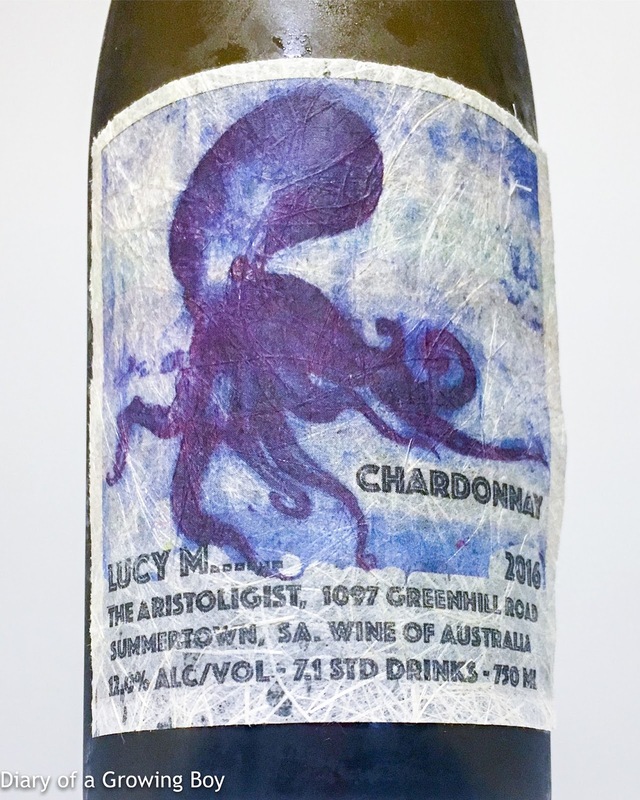 2016 Lucy Margaux Chardonnay - fairly pungent nose, which was surprising given that supposedly no sulfur was added. Pretty heavy toast, flinty and mineral. 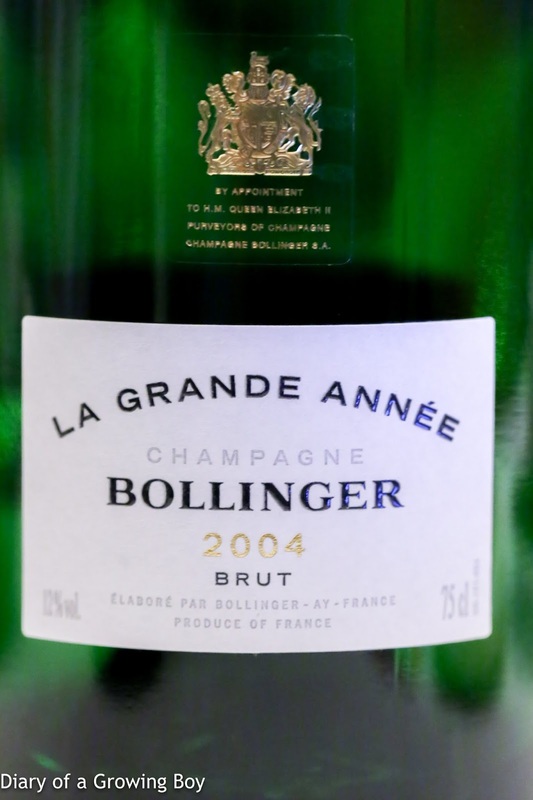 Good acidity on the attack, fairly round on the palate, with some length but faded quickly on the palate. 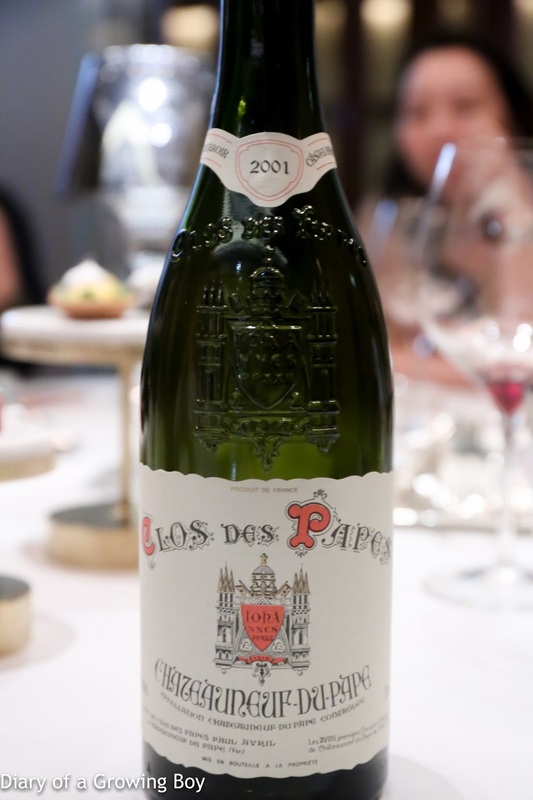 Almost a little pipi de chat in the nose, a little green, but pungent nose fades in glass - until a fresh pour. 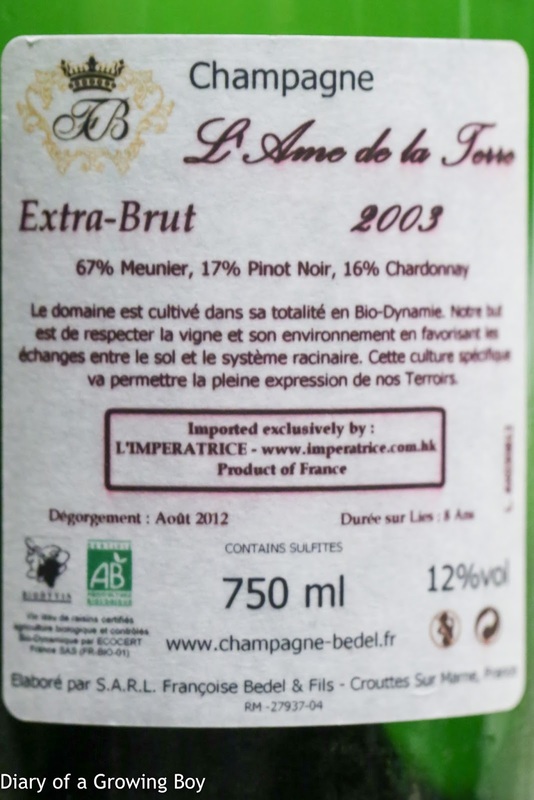 2003 Françoise Bedel L'Âme de la Terre, dégorgée en Août 2012 - initially served a little warm, so showed a little bitterness on the finish. 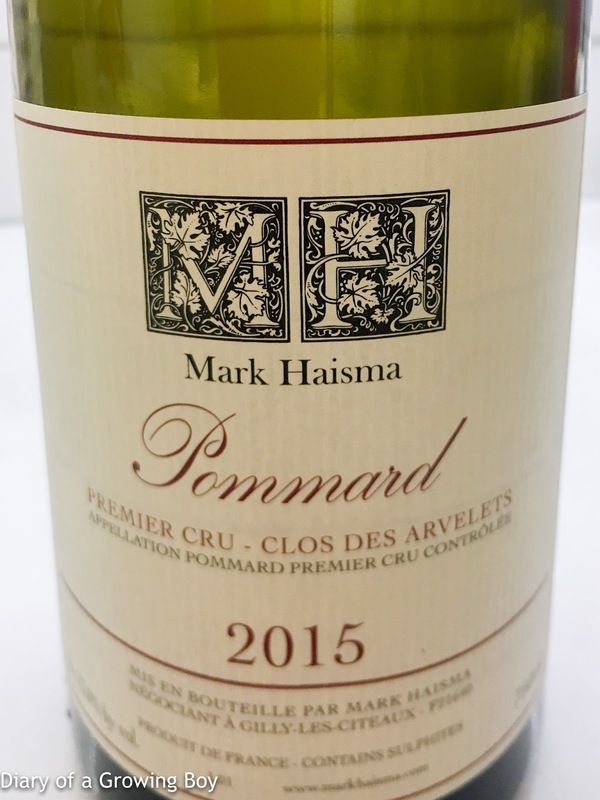 Full-bodied, with a nice, caramelized nose with marmalade notes. 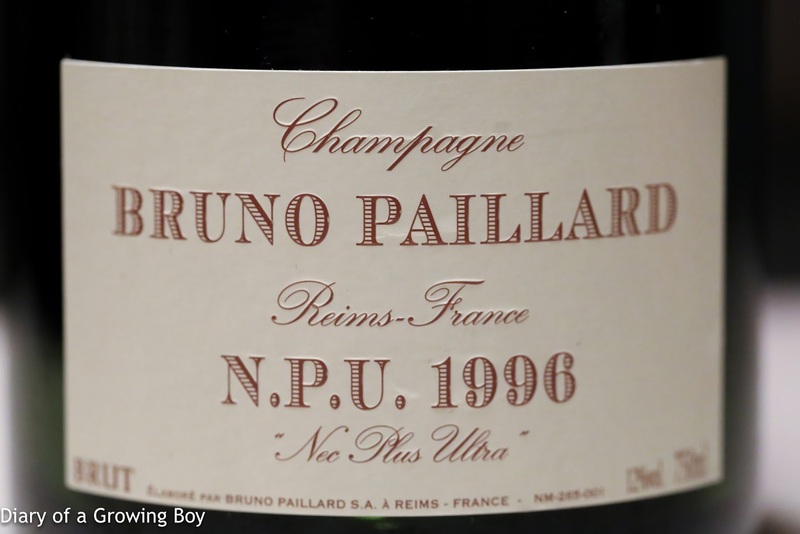 1996 Bruno Paillard Nec Plus Ultra, dégorgée en Janvier 2009 - not an aggressive wine at all... more subtle and very smooth. Some oak in the nicely caramelized nose. 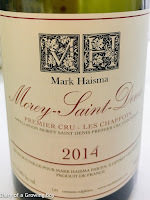 Good acidity on the palate but not too sharp, although slightly higher in the finish. Towards the end it became a little leaner. 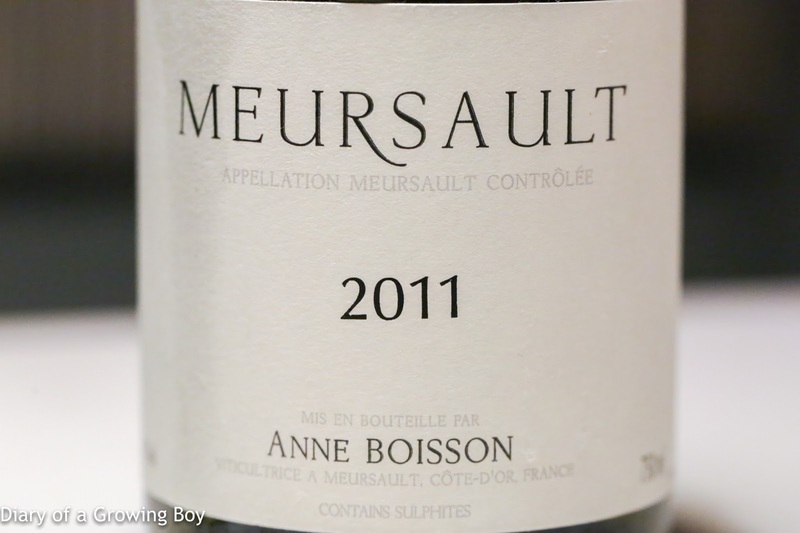 2011 Anne Boisson Meursault - very tight upon opening but showed plenty of heavy toast, with a hint of sweetness underneath. 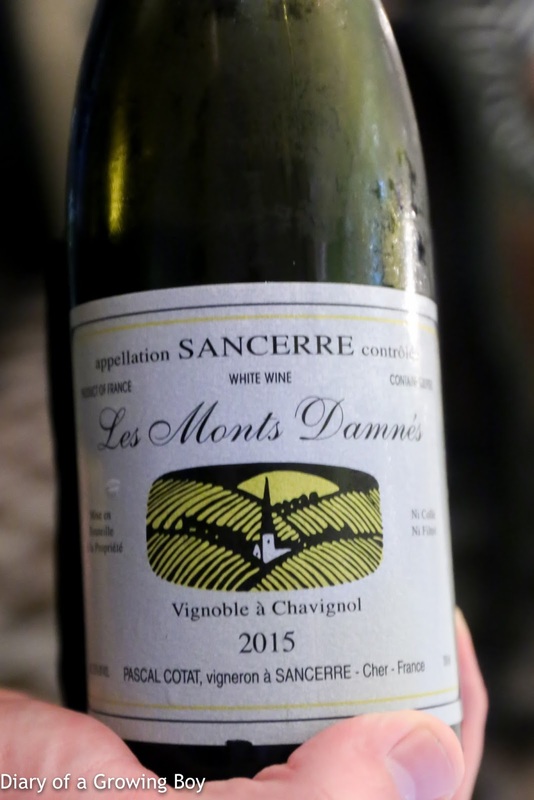 After opening up a little and warming up in glass, showed more citrus, lemon zestm, and slightly less toast... and turned a little more elegant. 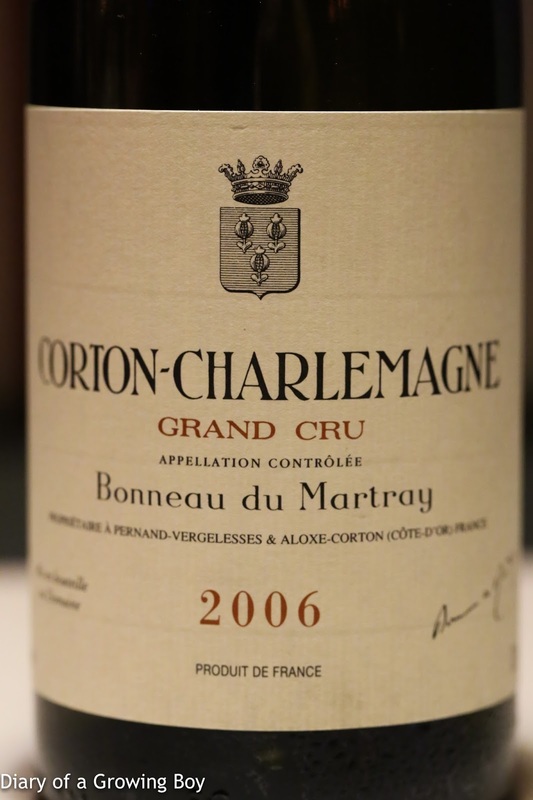 2006 Bonneau du Martray Corton-Charlemagne - ripe on the palate, almost a little bitter on the finish. Smooth and elegant.